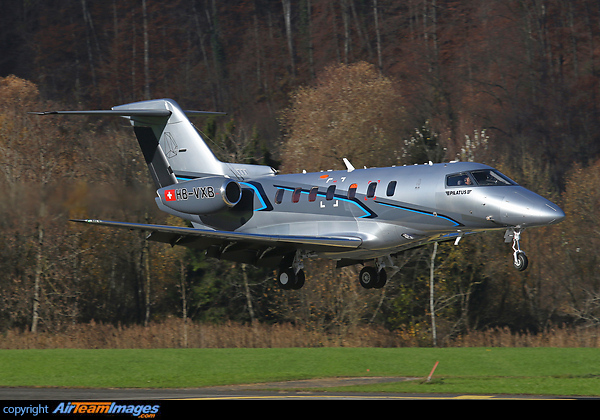 The second prototype of the Pilatus PC-24 is seen here on short finals for runway 07 after performing a testflight in central Switzerland. It first flew on November 16th 2015 and painted in striking new colors. All testflights are taking place in special and temporarily restricted airspaces.